Dobrodošli na službene stranice URAGAN dance & entertainment company! URAGAN dance & entertainment moderna je tvrtka koja zahvaljujući profesionalnosti i dugogodišnjem iskustvu zauzima jedno od vodećih mjesta u industriji zabave. Razvoj turističkog proizvoda pokazao je neophodnu potrebu za stvaranjem i pružanjem dodatnih sadržajana turističkim odredištima . U svojoj ponudi(link na ponudu), URAGAN uključuje pružanje usluga turističke animacije, organizacije evenata te ponudu u obliku izvedbene umjetnosti usmjerene na show, predstave, osoblje za promociju, modernu tehničku podršku te razne oblike turističkih i event usluga. Specifičnost moderne vizije leži u individualnom pristupu svakom pojedincu, čime se stvara određeni prilagođeni standard rada i programa, bilo da je riječ o klijentu ili budućem zaposleniku. Svaki projekt prilagođen je zahtjevima korisnika usluge te ga prati u svim segmentima poslovanja pritom zadržavajući jednaku kvalitetu za pojedinca. Upravo takav pristup te jedinstven program i način rada,čine URAGAN drugačijim. URAGAN svake godine zapošljava više od 200 sezonskih radnika. Ovisno o poslovnim ambicijama i opisu posla budući zaposlenici imaju mogućnost obuke i usavršavanja svojih znanja i vještina. Osim djelovanja unutar turističkog sektora, URAGAN je kao krunu svog poslovanja u umjetničkom i zabavnom sektoru postavio instituciju Art theatre DiamondS koji stvara i izvodi kvalitetne izvedbene programe za razna tržišta, okuplja plesače i performere te educira članove raznih dobnih skupina. Ukoliko ste potencijalni partner tvrtke URAGAN, budući zaposlenik ili klijent, želimo Vam dobrodošlicu na naše službene stranice te ukoliko vas zanima dodatni sadržaj ili upit, slobodno nam se obratite putem naših kontakt informacija. Welcome to the official website of URAGAN dance and entertainment company! URAGAN dance & entertainment is a modern company that, thanks to its professionalism and long experience, isplacedamongthe leading positions in entertainment industry. The progress in tourism has generated an indispensable need for creating and offering additional content on touristic locations. In URAGAN’Soffer are included provisions of touristic entertainment, event organisation and offers in terms of performing arts focused on shows, performances, promotion staff, modern technical support and many other different forms of touristic and event services. URAGAN’s modern vision lays on the individual approach to everyone, which creates a customized standard of work and programs, whether it is for the client or a future employee. Each project is customized,based on the requests of the users of our service and follows them in every businessaspect while retaining the same quality for the individual. This approach and uniqueness in programs and methods of work is what makes URAGAN different. More than 200 seasonal employees are hired each year. Depending on their career ambitions and job descriptions, future employees are given the possibility of education and improvement of their knowledge and skills. In addition to its work within the tourism sector, URAGAN’s crowning touch in the art and entertainment industry has come with the Art theatre DiamondS, which produces and executes quality-performing programs for various markets, gathers dancers and performers and educates its members of different age groups. If you are a potential partner of the URAGAN company, future employee or client we welcome you to our official website, and in case you are interested in more information or have additional questions, feel free to contact us. Willkommen auf der offiziellen Website von URAGAN Dance & Entertainment! 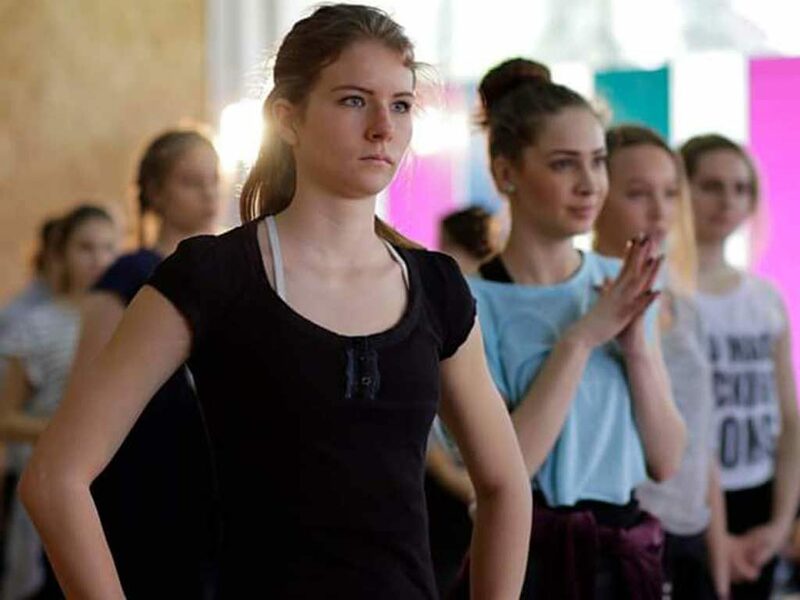 URAGAN dance & entertainment ist ein modernes Unternehmen, das dank seiner Professionalität und seiner langjährigen Erfahrung einen der führenden Plätze in der Unterhaltungsindustrie einnimmt. Mit zunehmender Entwicklung des Tourismus ist es notwendig, zusätzliche Angebote für Reiseziele bereitzustellen. 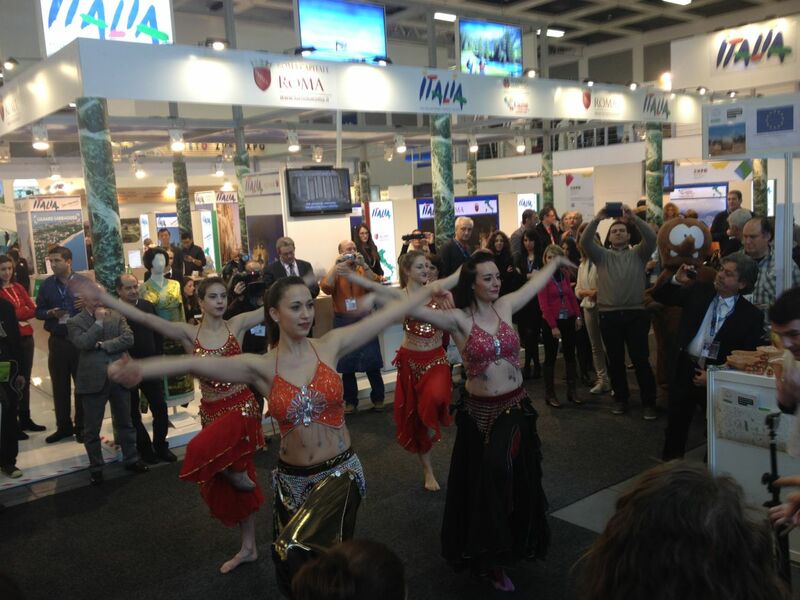 Die Angebote von URAGAN umfassen touristische Animations- und Eventdienstleistungen, die Organisation von Veranstaltungen, verschiedenste Shows, Promotion-Mitarbeiter, sowie moderne technische Unterstützung. Die Besonderheit der modernen Vision liegt in einer individuellen Herangehensweise an jeden Einzelnen, die einen spezifischen, maßgeschneiderten Arbeits- und Programmstandard schafft – egal, ob es sich um einen Kunden oder einen zukünftigen Mitarbeiter handelt. Jedes Projekt ist auf die Bedürfnisse des Dienstleistungsnutzers zugeschnitten und folgt diesem in allen Geschäftsbereichen bei gleichbleibender Qualität. Dieser Ansatz und die einzigartige Arbeitsweise macht das Programm von URAGAN besonders. URAGAN beschäftigt jedes Jahr mehr als 200 Saisonarbeiter. Je nach geschäftlichen Ambitionen und Stellenbeschreibungen haben zukünftige Mitarbeiter die Möglichkeit, neue Erfahrungen zu sammeln und ihre Kenntnisse und Fähigkeiten zu erweitern. URAGAN ist nicht nur im Tourismussektor tätig, sondern hat auch das Art Theatre DiamondS gegründet, das hochwertige Aufführungen im Kunst- und Unterhaltungssektor vorstellt, Tänzer und Künstler zusammenführt und Mitglieder verschiedener Altersgruppen ausbildet. Wenn Sie ein potentieller Partner von URAGAN, sei es auf Mitarbeiter- oder Kundenseite, sind, möchten wir Sie auf unserer offiziellen Website willkommen heißen. Haben Sie Interesse an weiteren Inhalten oder Anfragen, können Sie uns gerne über unsere Kontaktinformationen kontaktieren. 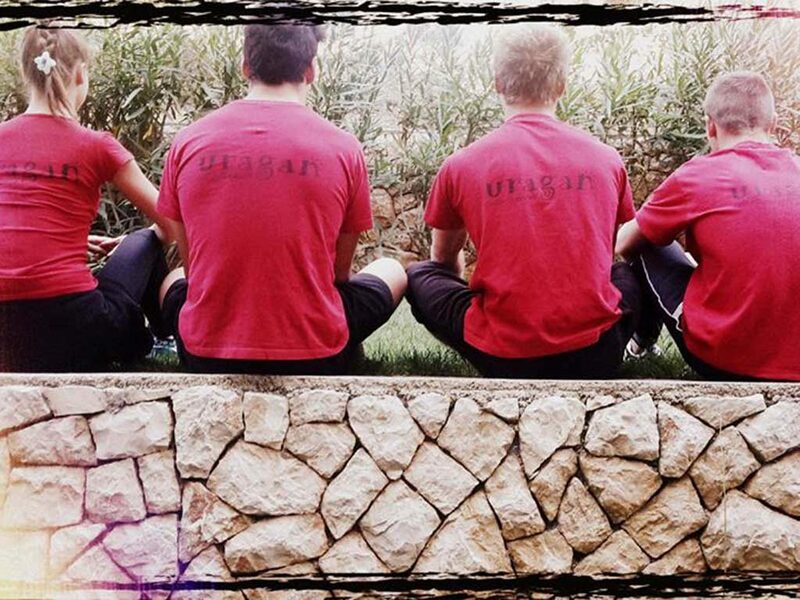 Benvenuti al sito ufficiale della URAGAN dance & entertainment company! URAGAN dance & entertainment è un’impresa moderna che, grazie alla sua professionalità e lunga esperienza, occupa una delle posizioni più importanti nell’industria dell’intrattenimento. Lo sviluppo del prodotto turistico ha dimostrato la necessità di creare e offrire contenuti aggiuntivi alle destinazioni turistiche. Nella sua offerta, URAGAN comprende prestazioni di servizi in campo di animazione turistica, organizzazione di eventi e offerte sotto forma di arti dello spettacolo concentrati su show, esibizioni, personale per promozioni, assistenza con tecnica moderna ed altre forme di servizi turistici e di eventi. La specificità della visione moderna sta nel particolare approccio ad ogni individuo, che crea un specifico standard personalizzato di lavoro e programma, sia esso cliente o futuro dipendente. Ogni progetto è adattato a misura delle esigenze dell’utente e lo segue in ogni componente del lavoro, mantenendo la stessa qualità per ogni individuo. Proprio questo approccio e un particolare programma e modo di lavorare, sono quello che rende URAGAN diverso. Ogni anno URAGAN offre lavoro a più di 200 dipendenti stagionali. Ai futuri dipendenti viene data la possibilità di formazione e sviluppo delle proprie conoscenze e abilitàin base alle ambizioni nel lavoro e descrizione del lavoro. 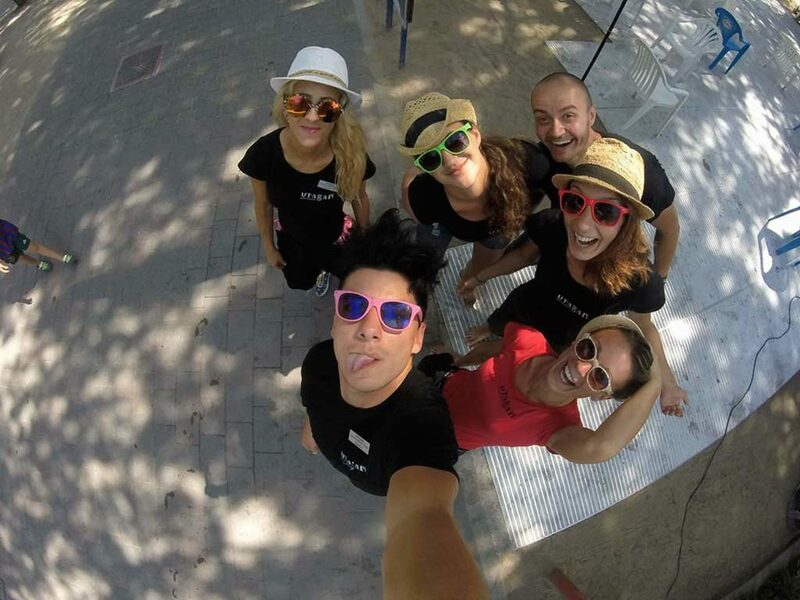 Oltre al settore del turismo, URAGANha incoronato le sue attività lavorative nel settore delle arti e dello spettacolo, formando l’istituzione Art theatre DiamondS che crea ed esegue programmi di alta qualità nel campo dello spettacolo per vari mercati, riunisce danzatori e artisti ed educa i propri membri di vari gruppi di età. Se siete un potenziale partner dellaURAGAN, futuro dipendente o cliente, vorremmo darvi il benvenuto al nostro sito ufficiale, e se siete interessati ad altri contenuti o avete altre domande, potete contattarci via le informazioni di contatto offerte sul sito. Falls sie wirklich Urlaub machen wollen dann mussen sie zur Vespera kommen.Jeden Tag konnen sie in vielen Aktiviteten mitmachen(gross und klein),dabei muss ich das Animations Team URAGAN sehr loben.Die Betreurinnen Danijela und Katarina kummern sich liebevoll um ihre Kinder im Pino Club Hotel Vespera,sowie auch Selena (die Fuhrerin des Teams) und naturlich Marko, Zeljka,Dijana, Stella, Adrijana,Grigor, noch ein Marko usw. Diese Leute betreiben verschiede Sportaktiviteten mit euch den ganzen Tag, sowie auch den Abendprogramm in dem auch ihre Kinder beteiligt sind und naturlich auch wir Erwachsenen. Das ist das Ort das fur die Familie wie geschaffen ist mit viel Spass,Musik, Tanz (Break Dance, Latino), Sport,Theater.....Wir sind schon seit 2. Jahr hier und kommen wieder in 2013. Die Kinder werden euch dankbar sein!!!!!! Travelled with two children, aged 6 and 2, and we thoroughly enjoyed our stay. Newly renovated hotel and particularly suited for families with young children. Apart from the usual, sun and sea, there are many amenities to keep you and your children active. We were there for a week and put the kids into a play group in the hotel for two half days and they had lunch included during their supervised play group with other kids (the play group service is free of charge!). In the evenings there is alot of enterainment both for adults and children (mini disco for kids!) and the Uragan entertainment team do a fantastic job in keeping everyone entertained. Overall brilliant experence and would highly recommend for families travelling with children! Hi, no worry. We arrived yesterday. The hotel is fully operational! The pool, water slide, kitchen, Falky club and animators are great, everything is working well. The garden is fine, so no sign of any construction work. The hotel is excellent, good services. The staff is great. The dinning room and the athmosphere of the dinning room is gorgeous with a fantastic view to the bay. The animator program is fine with a special "break-dance" focus.